Mr. DICKSTEIN. Mr. Speaker, the untimely death of Lillian D. Wald has left a void in the life of the city of New York and the country at large, which will not be easily filled. Miss Wald’s name will forever be connected with the elevation of the lives of the poor to a realization that all of us, irrespective of our wealth and social position cam be made important and useful members of society. Lillian D. Wald was born in Cincinnati, Ohio, on March 10, 1867. Her grandfather, who came from Germany about 1848, started the family on the side of the ocean. Miss Wald lived for many years in Rochester, N.Y., where she was educated at Miss Crittenden’s School, “an English and French boarding and day school for young ladies and little girls.” After an interval spent in the Middle West, she came to New York City to study in the Training School for Nurses of the New York Hospital and in the Women’s Medical College. In 1893 Miss Wald founded the Henry Street Settlement on the lower East Side, known in its early days as the Nurses’ Settlement. The Henry Street Visiting Nurse Service now covers Manhattan, the Bronx, and Queens. The Henry Street technique, inaugurated and perfected by Miss Wald, has spread throughout the world. The settlement conducts clubs for boys and girls as well as for the mothers and fathers of the neighborhood; classes in arts and crafts, pottery, dancing, English, citizenship, homemaking, first aid; clinics for the mothers and babies; the boys and girls; a music school in which courses are given in all phases of musical study; a theater and dramatic workshop; social events for the young people; and in the summertime, camps for the boys and girls, a daily play school, and day outings for the mothers and children of the neighborhood. Visitors from the Near East and Far East-from all parts of the world-have come to Henry Street Settlement to call upon Miss Wald and observe the work done there. The Prime Minister of England, J. Ramsay MacDonald; Governor Smith; President Theodore Roosevelt; Prince Kropotkin; Mme. Breshkovsky; and Signora Gina Lombroso Ferrero are only a few of the many well-known names signed in Miss Wald’s guest book at Henry Street. “When the house on Henry Street opened its doors the East Side was the shore front to Ellis Island. Throughout the years Miss Wald has been in a special sense the friend of all comers. Just as she broadened the vision of physicians and school teachers, so she has stretched the imagination of her fellow Americans of the older stocks as interpreter of the stranger within the gates; interpreter also of one race to another, of one generation to another, of one economic class to another. Avoiding partisan politics and the despair of the doctrinaire, she has won the hearts and understood the aspirations of Governors, and mayors, and police captains, and ward leaders, rabbis, and priests, and minister, revolutionists and push-cart peddlers, father and son, mothers and daughters. Miss Wald was the first president of the National Organization for Public Health Nursing, and the plan of town and country nursing of the American Red Cross was her suggestion. In 1909, the New York State immigration Commission, of which she was a member, created the State bureau dealing with the protection and distribution of immigrants. 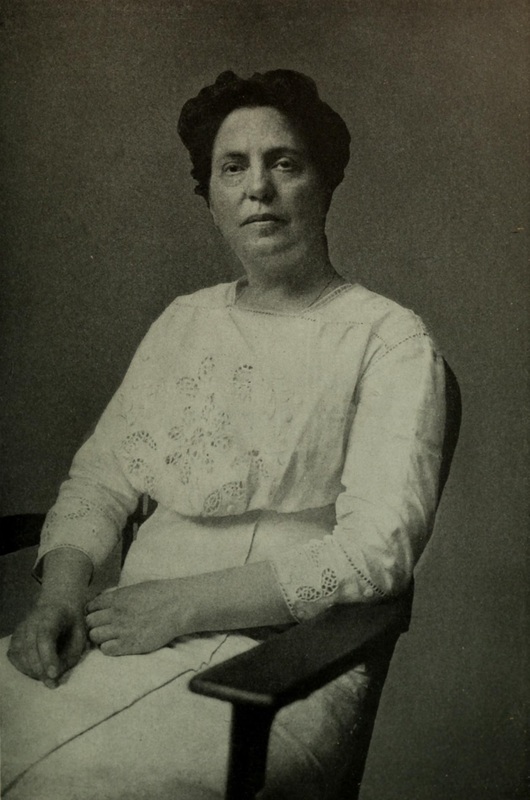 The Social Halls Association, organized to provide proper places for recreation and labor meetings, was started at Henry Street Settlement and Miss Wald was its first president. Miss Wald has been associated with numerous projects to provide recreation for children and adults, and she served on the original executive committee of the Outdoor Recreation League. Her experiment with Henry Street nurses in the schools led to the appointment of public-health school nurses in 1902 in New York City. They were the first public-health school nurses in the world, and they are now found everywhere. Her interest in the children of the Nation was largely responsible for the creation of the Federal Children’s Bureau. Miss Wald has served on the executive committees of the Society of Friends of Russian Freedom and the New York Association of the Blind. In 1919 she attended the International Conference at Cannes, France, as a delegate sent by the Department of Labor, and in the same year she was appointed one of the three women representatives at the industrial convention called by President Wilson in Washington. In 1924 she accepted an invitation extended by the Commissar of Health of Soviet Russia to visit the country and advise on their children’s problems. Miss Wald was a member of President Theodore Roosevelt’s Conference on Child Health and Protection, and of a similar conference called by President Hoover in 1930. Miss Wald is the author of the House on Henry Street and of numerous magazine, newspaper, and encyclopedia articles. She received the honorary degree of doctor of laws from Mount Holyoke College in 1912 and from Smith College in 1930. She received a medal from the National Institute of Social Sciences (1912), from the Rotary Club (1923), and one of the first three Better Times medals awarded in 1926, for distinguished social service. In January 1932, Miss Wald was the honored guest at a banquet of the society of the Genesee, the first woman ever so honored by the society. Miss Wald was on the executive boards of the Foreign Policy Association, the Welfare Council of New York, Survey Associates, the Neighborhood Playhouse, the Vocational Service for Juniors, the American Association for Labor Legislation, the American-Russian Institute, the City Affairs Committee, the Citizens’ Committee of One Thousand, the national Federation of Settlements, the Women’s International League for peace and Freedom, the United States Committee on Cooperation in Pan-American Child Welfare Work; and on the advisory council of the City Housing Corporation, the Millbank Memorial Fund, the Lower East Side Community Council, and the Harmon Foundation for the Advancement of Nursing. Miss Wald had been an active member of the coordinating committee of the Welfare Council of New York City. She was also a member of the technical advisory committee of the League of Nations Association. Life for her was an exciting pageant; each day brought its demands to meet new situations. Her first obligation was always to her nurses in blue carrying the bag which to many of us was the symbol of bringing scientific care combined with love and tenderness to the humblest in the city. No. 265 Henry Street is an old red brick house with white facings, built after the War of 1812, when the neighborhood was fashionable. Its yard, fitted up with swings before the dawn of recreation centers, was the pioneer among playgrounds. Miss Wald had made her home there for 34 years, and the house is furnished with simple old mahogany and shining brasses from Grand Street. Two similar dwellings across the street were also restored by the settlement. One is occupied by Miss Elizabeth Farrell, an old companion in arms who introduced special classes for backward children in the public schools. The other activities of Henry Street grew naturally out of the nurse’s visits. Seeing children kept out of school by small ailments-or staying in school with big ones and giving them to other children-Miss Wald proposed having school nurses, and the city adopted the idea in 1902. She also suggested to President Roosevelt the establishment of a Federal children’s bureau, and she became a die-hard opponent of child labor, because these things were forced on her mind by daily observations. Later she helped to organize the Women’s Trade Union League and the Joint Board of Sanitary Control. During the shirt waiste strike in 1909-10, a Henry Street representative sat in court all day bailing out arrested pickets. In 1912 the Settlement was a headquarters of “fair consideration” for the unpopular side of the Lawrence textile strike. Members of her board of directors pay tribute to her abilities in finance. It is fun to speculate also on her potentialities as a politician. She could have gone far in politics on her gift for remembering birthdays, alone. She remembered hundred of them with ease, by a sort of supernatural endowment. That was one of her talents; another is summed up in the matzoth. These Hebrew ceremonial biscuits often appeared on her table, Miss Wald explaining cheerily: “Here is the unleavened bread which our neighbors eat on Passover. We like it so well we eat it with our salad.” Such touches of local color went over immensely with visitors from uptown. She administered a budget of $600,000 a year, but the night telephone rang at her bedside until a fellow worker forcibly removed it. Despite the enormous pressure on her time she managed to read a good deal and go to the theater, and whenever possible she retreated to her farmhouse at Saugatuck, Conn. The East Side was her hobby; she loved it; wanted to see its fine old houses rehabilitated, and was proud of her part in suggesting the huge new apartment block which was to go up at Grand Broome Streets. Miss Wald was always the friend of the under dog and was kind to all who came in contact with her. Although herself never possessed of great wealth she was a friend of some of the wealthiest persons in the United States, and was able by the charm of her personality to divert some of this wealth to the uplift of the poor in whom she was always interested. The Henry Street Settlement Visiting Nurse Service will be forever a memorial to Miss Lillian D. Wald and a tribute to her great and inspiring personality. The Henry Street service today operates a staff of 250 blue-uniformed nurses with headquarters at 99 Park Avenue, and 18 local nursing centers. Miss Lillian D. Wald has now gone to the great beyond and thus undoubtedly will be numbered among the great women of her day. To us in Congress, and to me who had the privilege of knowing Miss Wald personally, she typifies the devotion to duty which has forever been the symbol of America and Americanism.